There was always that one kid in school. You know, the one who rarely completed any assignments, failed nearly every test, gave no input for group projects—but somehow managed to barely pass the class. Even though other students were getting A’s and B’s on their assignments, it was never this kid’s fault that he flunked the test. No. He had every excuse in the book: “I didn’t like the teacher’s teaching style”, “The teacher never provided me with enough information”, on and on. It never stopped. Same curriculum, same information, others were getting good grades, but this student was barely able to move onto the next grade because of course, none of the shortcomings were their fault. This is what the Washington Wizards have become in a nutshell. Back during the 2013-2014 season, the Wizards had a chip on their shoulder. They finished with the fifth-best record in the East and were expected to be easy fodder for the experienced Chicago Bulls in the playoffs. That chip on their shoulder morphed into a plank and they played through Chicago for a 4-1 series victory. But after getting knocked out by the Pacers in the second round, a funny thing happened. That chip on their shoulder shrunk down to a splinter as the players’ egos began to inflate. Steph Curry and Klay Thompson were catching their stride and Kyle Lowry and DeMar DeRozan were laying the foundation for the tandem they’d ultimately turn into. But here were the Wizards, self-anointing themselves as the best backcourt in the NBA after winning just one playoff series. Unfortunately for Washington, nothing has been able to hut that ego. If anything, it’s ballooned even more. Rather than let an otherwise meaningless quote get swept into a random corner of the internet, they doubled down. In 2015, Wall and Beal moved all their chips to the middle of the table and said they were ‘best backcourt because they play both ends.’ And if there was any doubt in anyone’s mind, they tripled down during the summer of 2017. The faux confidence John Wall and Bradley Beal have exuded has spilled over to other members of the team. Look no further than Markieff Morris who stated: “Sometimes the better teams don’t win” after the Raptors knocked the Wizards out of the playoffs this spring in a series that wasn’t really in doubt. Rather than riding the momentum of being just one game from the Eastern Conference Finals in 2017, the Wizards stalled out. They don’t own any hardware but unofficially lead the NBA in players-only meetings and the number of times they’ve referred to themselves as the best backcourt in the NBA. Unsurprisingly, that hasn’t translated to results and if the team’s mindset doesn’t change, it never will. Organizationally, this isn’t Washington’s first rodeo either when it comes to dealing with irrationally confident players who shed the blame elsewhere. The Gilbert Arenas-led Wizards came out of nowhere to increase their win total by 20 and knock off the Chicago Bulls in 2005. But after winning that series, that iteration of the Wizards roster never won another playoff series. Off the court antics, injuries, and excuses started to pile up but the front office didn’t seem to mind as the team was relevant for the first time in a long time. Since changes likely won’t come from up top to change the culture, it’s up to the team’s leader, John Wall, to set a new tone. Early in the season after a laundry list of losses to sub .500 teams like the Suns, Mavericks, Nets, and Lakers, John Wall said the Wizards players were stat-hunting. Unfortunately, his words did little to change what was happening. There are mixed feelings about John Wall. Locally, fans love him, but he doesn’t seem to garner that attention on a national level. Throughout his career, he has been more of the lead by example type than the type who gets in a teammate’s face. 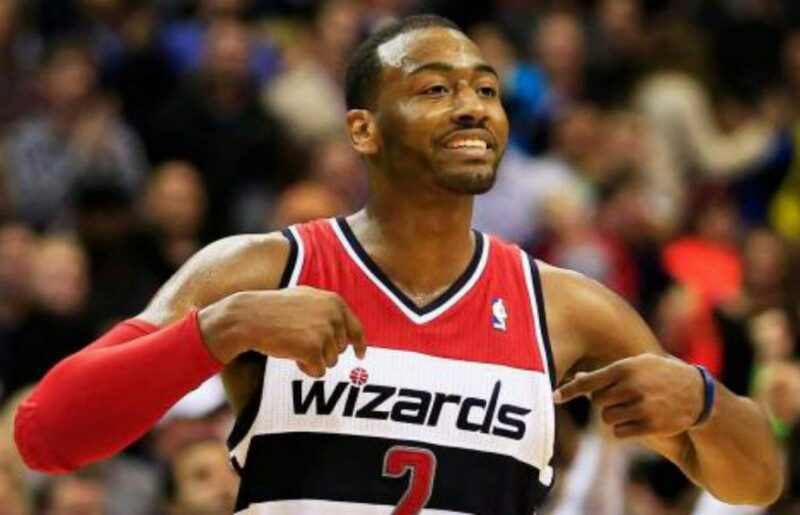 But with the Wizards coming off of a very disappointing season, Washington has a chance to get that chip back on their shoulder—but it starts with Wall. The way he played through pain was inspiring, but it also allowed bad habits to spread as more players took plays off defensively, hunted for stats against bad teams, and got stagnant off the ball. Things won’t be easier next year either as the Wizards will try to incorporate Dwight Howard into the locker room—a guy playing on his fourth team in four years. They’re also adding Austin Rivers, who didn’t always have the best relationships with teammates in Los Angeles, as well as the consistently inconsistent Jeff Green. The Wizards clearly thrive as hunters rather than being the hunted. So maybe an early exit from the playoffs last year will re-ignite a fire under this team. If not, we might find ourselves in a similar situation to last year listening to excuses that are well past their expiration date from a team falling short of expectations once again. You know, like the kid who flunked his test but at no fault of his own.